Estoi hosts a very special festival called "Festa da Pinha" every year. 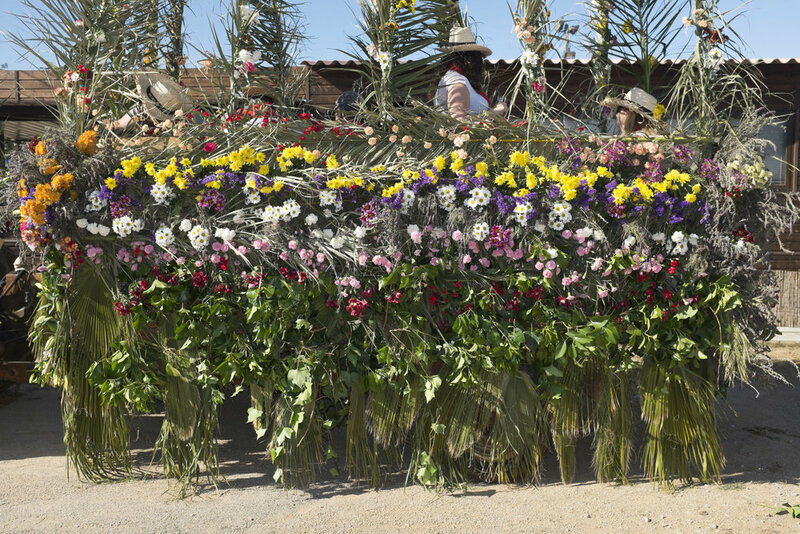 For a week before the festa the whole town is involved in picking flowers and grasses to decorate the horse drawn carriages and tractors that will travel to a picnic spot 30 kms away and then return late at night into the village to the awaiting crowd. It is a really fun event in the year and a celebration of a good harvest.